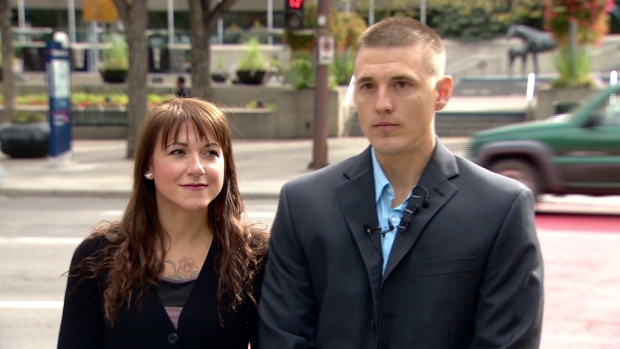 A Calgary transit bus driver says he was fired because he stood up for his religious beliefs. Jesse Rau says he was fired from his job as a Calgary Transit driver because of his religious beliefs and refusal to drive the pride bus. Jesse Rau initially publicly said he would quit his job as a Calgary Transit driver if he was made to drive the rainbow flag wrapped city bus because he’s a Christian and can’t support homosexuality. Doug Morgan, director of Calgary Transit, said he was unable to speak to specific employee issues, but said Calgary Transit has a code of conduct that “helps guide our behaviour,” that all employees are expected to follow. “We set that policy up so employees can know what is expected of them in the workplace and customers get to realize that when they are out on the bus,” he said. Morgan said their policy surrounding social media posts that are made publically is simple. Rau is connected to street preacher Art Pawlowksi, whose street church has suggested in the past that the 2013 floods were caused in part by Calgary’s participation in the annual pride parades. Pawlowski has also had several run-ins with the city over noise bylaw infraction involving a loud speaker used for his street preaching. Pawlowski, however, has claimed he’s never been criminally convicted despite 10 arrests, more than roughly 200 citations and 80 court appearances. Pawlowski is responsible for both stirring up Rau’s initial complaint and also made media aware of Rau’s situation via press release Thursday night. Rau said he didn’t think he might lose his job because of his personal posts, and said Calgary Transit has gone against their own rule that “no ideologies are to be promoted through their organization,” by telling transit employees they would have to drive the pride bus. Metro has reached out to Calgary Transit who said they would make a statement following Rau’s press conference.